Patti Herrera has seen good times and bad times, times of both despair and jubilation during her nearly 25 years as an employee of the Ho-Chunk Nation. She officially retired as marketing assistant for Public Relations at Ho-Chunk Gaming – Wisconsin Dells on April 6. “I kept him well organized. I made sure he dotted his ‘i’s and crossed his ‘t’s,” Herrera said. Herrera began working for Ho-Chunk Gaming – Wisconsin Dells on Nov. 1, 1993. “I just went to the job fair the week before. Being a single mom, with boys 5, 7, and 9, having moved up from Chicago, I needed a job with benefits,” she said. She found out about the job fair through a friend while both were working at a fundraiser with the Cub Scouts. “I had no gambling experience, but I’m hard working and reliable,” she said. “I have a good work ethic. My personality is always upbeat,” she said. “I think that helped me get the job.”. Part of her job was to help the patron with their requests and to find the facts to their inquiries. To help her answer customers’ questions, she memorized the provided fact sheet. People would ask the hours of the buffet, the types of games available, where to find certain facilities and other questions about gaming. “It was scary, starting a new job, being brand new, and being asked questions. I asked to sit in on blackjack training so that I know how the game is played,” she said. Besides learning about her job, she also wanted to learn about the people who were her employer. “Because I was an outsider, I wanted to know the Ho-Chunk people, so I studied their history – which I didn’t know anything about. Their history is very interesting, as well as their culture. I would ask elders, such as Caroline Stacy and Cleo Mountain, why they do things a certain way,” Herrera said. Although her cultural background is Hispanic, she can relate to the Ho-Chunk people because they also educate the young by telling stories. “I appreciate what they are about and I am respectful. They accept me,” she said. The Ho-Chunk people have seen her for what type of person she is, she said. One of her primary focuses was to be a good role model for her children. “They saw that I was here to help,” Herrera said. The first year she worked on the frontline, meaning being on the floor and dealing directly with customers. Since that time, she has worked as executive assistant to the marketing director. There, she handled different aspects of marketing, such as entertainment, tour and travel, and now public relations. For a while, two and a half years, she worked alone, with no director until Dave Abangan began as director. “I stayed to get things done,” she said. One of her most noted crowning achievements is the decorating the casino for holidays, such as Christmas, and other events. “They said they needed someone to coordinate the decorations. I took on that duty and have been doing it for 10 years,” Herrera said. She bought the decorations, worked with a professional interior decorator, and coordinated the displays with the maintenance department. In addition, Herrera has been a member of the Employee Incentive Committee, where employees are recruited from each department to be representatives. “It’s one way to get to know everyone,” she said. They needed someone from Marketing to do employee incentive parties, to plan summer and Christmas parties, as well as employee recognition parties. One of her favorite activities is working with nonprofit organizations . Now that she retired, her plans are to volunteer to work with nonprofit organizations. She sees the importance of volunteer for any nonprofit. She also hopes to do some traveling. She has trips planned for Nevada, Oklahoma, and Texas. She is getting encouragement from her sons to do more traveling. One of her sons has been to Russia, Turkey and Japan. He wants her to experience more. Another son wants her to go to Costa Rica with him. He has been mountain climbing in Peru. “I never really thought about traveling before,” she said. Her sons are returning the encouragement she has bestowed on them all their lives. “I have always told them, ‘Don’t let fear come in the way of doing something.’ Now it’s their turn to push me,” Herrera said. She’s usually a very private person, but she’s been good about talking about the casino. She can talk all day about that, she said. Through her years at the casino, she has developed so many long-lasting relationships – something she will always carry with her. “I will stay in touch with them. All my friends are here. 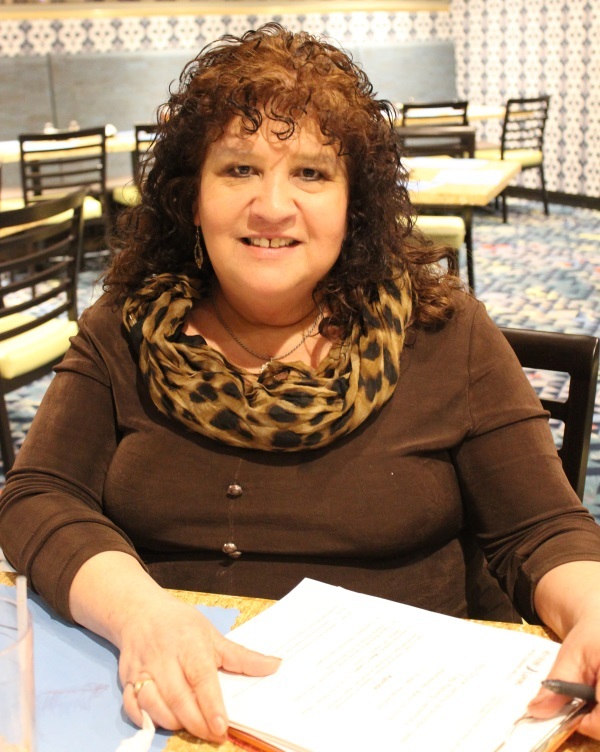 Ho-Chunk Gaming – Wisconsin Dells is my second home,” she said. “There’s going to be a lot of tears shed – lots of tears,” Herrera said.